The Bean Charm Pendant is crafted in 18K gold, hallmarked in Cyprus. 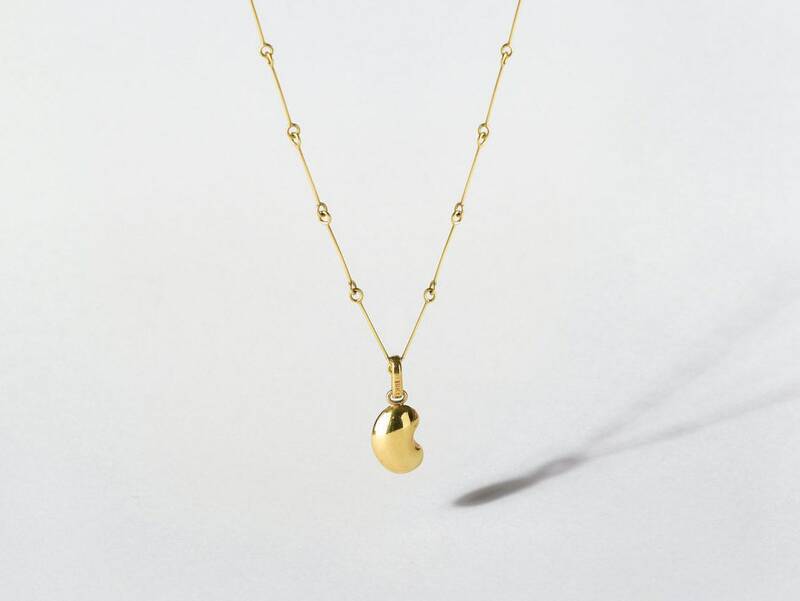 This natural size bean pendant, comes in a highly polished finish and is ideally matched with our hand crafted linear chain featuring a traditional, handmade closure. Due to its embryonic shape, the bean shares the same symbolism as the crescent moon; It is symbolic of growth and new beginnings. The Bean charm pendant is part of the designer’s ‘Eternal Spring’ collection.